Normally we do not review vegetarian and cruelty-free beauty product lines that are not attached to an official website because we know how much you all love to research these companies yourself! Well in this rare instance, we are going to make an exception because this company, The Dream Products, is such a great little hidden gem, that we felt it too wonderful to not share. It has been a favorite beauty secret amongst some of our writers for several years and we want to let you all in on it! Created over 13 years ago by Denise Merryfield, these custom-blended vegetarian products are made to order. Explaining that friends and family are the testers for her products, and not animals, Denise also ensures that her ingredient suppliers are cruelty free as well. Some of her products do contain organic beeswax, but the strict vegan can request a substitute for this. The Dream Products are all based from an impressive list of healing ingredients, including essential oils of lavender, tea tree, geranium, eucalyptus, grapefruit, peppermint and lemon. The products all include various combinations of vitamins A, B complex, C and E, as well as copper, folic acid and zinc. Again, all of the products are customizable, so if there are any ingredients that you want added or omitted, Denise can take care of that for you! Remember that everyone has different skin, so if you try a particular product that doesn’t work perfectly for you, try it again with ingredients that are geared towards your specific skin type. The Dream Products vegetarian and cruelty-free beauty products are a full line of face care, eye care and skin care. Lotions and creams include Face Dream lotion, Night Face Dream, Hand Dream lotion and Body Dream lotion. The eye care line includes Eye Dream lotion, Eye Dream Night Dream lotion and Eye Dream 3-in-1 Night Gel. The Dream Products features everything needed for complete skin care, including, Face Dream Facial Cleanser, Face Dream Honey Facial Scrub, Face Dream Facial Toner and Face Dream Clay Mask. The Dream Products vegetarian and cruelty-free beauty products line also have a few hair and body products. Their body product line includes Body Dream Body Scrub, Body Dream Sparkle Lotion and Body Dream Shower Gel. For your tired tootsies, they also have a cooling peppermint Foot and Leg Dream Lotion. For those looking for a nourishing hair product, Hair Dream Shampoo are full of moisturizing and nourishing ingredients such as vitamins B, E and aloe. All of The Dream Products are available in sample size if you want to give them a try first, and Denise is currently offering a special deal where customers will receive $2.50 off of all orders that are $25.00 or more. As we said, there is not currently a website for The Dream Products, but ordering information, as well as a complete product list, is below. *FACIAL PRODUCTS* – All can be customized to your own skin needs at no extra charge. Scents available on all facial/body products, except not recommended for any eye products: Raspberry, Strawberry, Tangerine, Creamsicle, Lemon, Grapefruit, Cotton Candy, Lime, Almond, Vanilla, Lavender, Mulberry, Vanilla Mint, Candy Apple, Banana Nut Bread, Key Lime Pie, Warm Gingerbread, Hazelnut, Blueberry Muffin, (New scents: Plum Berry, Coconut Lime, Jasmine Vanilla and Orchid Jasmine), or Unscented. The Face and Eye Dreams now can have caffeine added, which has been proven to help reduce the risk of skin cancer and caffeine could one day be used to cure skin cancer, scientists believe. Also SPF 8, 15, 25 or 30 can be added to any of the products, but if you have sensitive skin I recommend putting on a second sunscreen separately. I do not suggest adding scent to any of the Eye Dreams because of the very sensitive eye area. NEW!!!! FACE DREAM RETINOL CREAM!! 2oz. only $16.00 – This retinol rich cream can help you see more youthful skin within weeks, and skin that continues to improve month after month. It provides rich moisture too and can be used with or without makeup and recommended to be used morning and night. NEW!! FACE DREAM BRIGHTENING SERUM! 2oz. only $12.00 – Brightens and evens out skin tone, tightens pores and smooths skin. Can be formulated stronger for normal skin and more gentle for sensitive skin. Can be applied morning and night. Contains: Pure lemon juice, AHA/BHA, vitamins A, B, C, D, E, aloe and purified spring water. NEW!! FACE DREAM NIGHT ELIXER GEL! 2oz. $12.00, 4oz. $18.00 – You will love how this elixir works while you sleep to gently exfoliate, resurface and smooth skin while you sleep to reveal beautiful, healthy and younger looking skin in the morning. Contains: Glycolic acid, pure lime juice, AHA/BHA, vitamins A, B, C, D, E and aloe vera gel. NEW!! FACE DREAM TINTED MOISTURIZER . 2oz. Dream Lift Tinted Moisture $12.00; 4oz. Dream Lift Tinted Moisture $16.00 or 2oz. Dream Tinted Moisture $9.95; 4oz. Dream Tinted Moisture $12.00. You can get this skin rejuvenating tinted moisturizer in the “Lift” formula or just regular formulation. Either way you will love how it moisturizes and evens out your skintone and you can wear it AM/PM, with or without other foundation Contains A, B, C, D, E, aloe, Co-Q10, AHA, green tea, pur. spring water and the Lift formula contains DMAE and plant extracts. NEW!!! FACE DREAM INTENSIVE CREAM 2oz. $15.00; 4oz. $22.00 – This new, exciting product targets all your skin aging signs – smoothness, firmness, uneven skin tone and general healthy looking skin. Made with intensive and effective ingredients of matrixyl, retinol, collagen, hyaluronic acid, aloe, caffeine and purified spring water. You can customize also to target acne breakouts with tea tree and add sunscreen in SPF formulations of 8, 15, 25 or 30. NEW!! FACE DREAM LIFT TANNER 2oz. $15.00 4oz. $18.00 – You will love how this product firms your skin, but also will give you a subtle, safe facial tan. Us as often as needed to keep your face firm and create a subtle glow. Contains: DMAE, seaweed & alfalfa extracts, caffeine, vitamins A, B, C, D, E, aloe, AHA/BHA (as above), Co-Q10 and DHA (tanning ingredient). NEW!!! DREAM HEADACHE RELIEF BALM 1oz. $9.95 only – This soothing balm helps to ease headache pain (just massage a small amount into where you are hurting and feel your headache ease away) with the help of pure menthol, lavender and vitamins A, B, C, D, E, aloe, green tea, caffeine and purified spring water. Can also be used on body aches and pains too. NEW!! FACE DREAM EXFOLIATING POWDER 2oz. size only, $10.00 – This amazing exfoliating powder activates with just a few drops of water and works wonders at smoothing skin and evening out skin tone. Contains pure baking soda, pure micronized sea salt, vitamins A, B, C, D and E. You will love how great your skin will look and feel! NEW!! FACE DREAM FOR OILY SKIN 2oz. $7.95 4oz. $9.95 – This new Face Dream formulation made especially for skin that tends to be oily goes on smooth and creamy and absorbs oil, but still keeps the skin moisturized. The secret ingredient is pure talc. You can use it AM & PM, with or without makeup. It contains vitamins A, B, C, D, E, aloe, 8% AHA, Co-Q10, talc, green tea, tea tree and purified spring water. This product works wonderfully to make skin soft and smooth, diminish fine lines and prevent new ones, and to even out skin tone. It also helps to heal and prevent acne breakouts. Apply under makeup and before bed or anytime you want to moisturize and condition your skin. Formulations for normal or sensitive skin. The sensitive skin formula has extra moisturizers. Consistencies: Light, Medium or Heavy. SPF options: SPF 8, 15, 25 or 30. Ingredients: A, B, C, D, E, Co-Q10, aloe, 8% AHA, green tea, rosemary extract (natural preservative), 2% BHA available upon request. The Emulsifier for the facial products is derived from natural Colza Oil. All options as above. The Night formula has extra of all the vitamins, Co-Q10, AHA/BHA, aloe, green tea, plus plant extracts bayberry and licorice root. This product can be worn day or night, but works well also to rejuvenate your skin while you sleep. This is a very effective, but gentle acne gel to help treat and prevent acne breakouts. It will also help to make skin soft, smooth and healthy looking. Can be used AM/PM or spot apply. Ingredients: Aloe vera gel, tea tree, spring water, green tea, A, B, C, D, E, 8% AHA, 2% BHA. This is an invigorating and effective skin cream that is great at gently removing eye and face makeup and cleansing the pores with the boost of camphor, menthol, eucalyptus, vitamins and giving your skin a refreshing, non-drying clean. This rejuvenating scrub has all the great properties of the Medicated Cream Cleanser with the extra boost of gentle exfoliating ingredients. You will love the way your skin will look and feel. Your skin will become smoother and more even-toned with every use! This crystal clear cleanser is a wonderful and effective acne cleanser cleans out pores to help clear up acne and prevent breakouts and also invigorates your skin with the help of tea tree, salicylic acid and a touch of peppermint. Can be use be AM/PM. Ingredients: Vitamins A, B, C, D, E, aloe, tea tree, salicylic acid, green tea, spring water and sodium tetraborate (gentle lathering agent). This is a deep cleansing lotion that gently, but effectively removes makeup and impurities. Can be used morning and night. Ingredients: A, B, C, D, E, aloe, chamomile, glycerine, green tea, spring water and sodium tetraborate (gentle lathering agent). A gentle, but effective facial scrub made with very fine pure sea salt, vitamins and moisturizers. Can be used everyday. It will slough off dry, dead skin cells to reveal a beautiful, healthy glow and softer, smoother skin. Ingredients: A, B, C, D, E, aloe vera gel, purified spring water, chamomile, pure sea salt, glycerine, green tea. 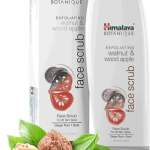 A gentle, but effective facial scrub made with very fine pure cane sugar, vitamins and moisturizers. Can be used everyday. It will slough off dry, dead skin cells to reveal a beautiful, healthy glow and softer, smoother skin. Ingredients: A, B, C, D, E, aloe vera gel, purified spring water, chamomile, pure cane sugar, glycerine, green tea. NEW!!! FACE DREAM GREEN TEA TONER 2oz. $7.25 4oz. $9.95 – You will love this all natural green tea toner. It not only helps remove makeup and bacteria, but actually makes your skin healthier and gives your skin a fresh and smooth appearance. Contains: Pure green tea extract, vitamins A, B, C, D, E, touch of witch hazel and purified spring water. NEW!! FACE DREAM EXFOLIATING TONER 2oz. $7.00 4oz. $9.95 – This wonderful toner contains pure liquid cane sugar which helps to gently exfoliate the skin & helps gives the skin smoothness, helps clear up & prevent acne breakouts with the help of witch hazel, vitamins A, B, C, D, E, aloe, Co-Q10, touch lemon, green tea, tea tree, purified spring water. Can be used daily. NEW!! FACE DREAM INVIGORATING TONER 2oz. $7.25 4oz. 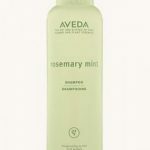 $9.95 – This exhilarating and invigorating toner is great to use first thing in the morning or at the end of a long day. With the help of peppermint extract and tea tree your skin will feel invigorated, refreshed and the tea tree helps to clear up and prevent breakouts too. Contains: Witch hazel, vitamins A, B, C, D, E, peppermint extract, tea tree, green tea and purified spring water. This toner is a great way to remove makeup and impurities from the skin and cleanse the pores. Can be used everyday. Ingredients: Witch hazel, spring water, tea tree, green tea, A, B, C, D, E, aloe, touch of lemon. All products can be customized to your own needs at no extra charge. All the Eye Dream products can be applied to the whole eye area, including eye lids and will help diminish fine lines, dark circles, puffiness and will help tone and firm the eye area to make it healthy and younger looking. All of the Eye Dreams can be used AM/PM, with or without makeup, but some are geared toward firming too and the Eye Dream 3-in-1 is very rich and moisturizing when used with the creamy petroleum jelly base and best used before bedtime. NEW!!! EYE DREAM LIFT 1/2oz. $14.00; 1oz. $20.00; 2oz. $35.00 (Sample size $4.50)With the new Eye Dream Lift, within minutes of applying it helps to firm the eye area skin and smooth and ease fine lines, and even helps prevent new lines from forming with A,B,C,D,E, aloe, Co-Q10, borage oil, DMAE, caffeine, green tea and seaweed extract. It also contains extra vitamins and moisturizers to help dark circles and prevent future lines. Can be used AM & PM, with or without makeup. NEW!!! EYE DREAM LIFT GEL!! 1/2oz. $14.00; 1oz. $20.00 (Sample size $4.50) This soothing and cooling gel contains the same great ingredients as the Eye Dream Lift cream, but in a wonderful, light gel formulation. NEW!!! EYE DREAM INTENSIVE NIGHT REPAIR 1/2oz. $12.00; 1oz. $16.00 (Sample size $3.75) – This amazingly effective eye night repair cream works best while you sleep with pure petroleum jelly, aloe, vitamins A and E, evening primrose and borage oil. You will see a smoother eye area in one to two weeks and this will also help prevent new fine lines from developing. Ingredients: Eye Dream contains A, B, C, D, E, Co-Q10, Borage Oil and aloe and Eye Dream Night contains extra of all the ingredients. ALL NEW!! DREAM ALL NATURAL FRAGRANCE SPRAYS!! 2oz. FRAGRANCE SPRAYS $8.50 EACH. FRAGRANCES COME IN THE FOLLOWING SCENTSAND CAN ALSO CAN BE FORMULATED WITH THESE FRAGRANCES IN ANY COMBINATION YOU WISH! Vanilla/Lime, Vanilla/Raspberry, Hazelnut/Cookie Dough (yummy! ), Apple/Vanilla (very refreshing), Blueberry/Vanilla, Sweet Pea, Lavender, Hazelnut, Peppermint/Eucalyptus, Coconut/Vanilla, Banana/Vanilla, Coconut/Lime. NEW!! FACE DREAM MINI PEEL MASK 2oz. only $12.00 Invigorating and effective mini peel mask that will help ease fine lines, prevent new ones, even skin tone, clear up acne and give you soft, smooth beautiful skin. Ingredients: Mineral clay, glycolic and lactic acid, tea tree, green tea, A, B, C, D, E, AHA/BHA, purified spring water. Ingredients: Whipped mineral clay, A, B, C, D, E, aloe, pure fruit extracts, Co-Q10, caffeine, green tea and spring water. All of the following masks have a mineral clay base to them, plus all the vitamins to give you healthy, glowing skin. Each one rinses off and helps to firm and tone skin, tighten pores and heal and prevent acne breakouts. Can be used 3-5 times per week depending on your skin type. Ingredients: Mineral clay, caffeine extract, A, B, C, D, E, Co-Q10, aloe and spring water. This handy set comes with nail files, scissors, tweezers and a 2oz. Hand Dream Nail/Cuticle Cream. *BODY DREAM PRODUCTS* – All products can be customized to your own needs and SPF 8, 15, 25 or 30 can be added. 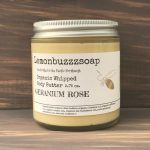 Scents available on all Body Products:Raspberry, Strawberry, Tangerine, Creamsicle, Country Apple, Lemon, Grapefruit, Chocolate Cream, Cotton Candy, Lime, , Almond, Gingerbread, Vanilla, Lavender, Mulberry or Unscented. NEW!! BODY DREAM CAFFEINE LOTION!! 2oz. $8.50, 4oz. $12.00 (Can also be formulated with subtle shimmer) This wonderful new body lotion has invigorating and toning pure caffeine, which helps smooth out cellulite and tone and firm the skin and if you order it with the shimmer, it helps deflect any flaws and makes the skin look and feel silky smooth. (All scents as above). NEW!! BODY DREAM MASSAGE OIL (2 FORMULAS – INVIGORATING PEPPERMINT OR SOOTHING LAVENDER) (You can also customize the oil with any scent I offer or make up your own combination!) 2oz. $7.95 4oz. $9.95 – Either formulation is a wonderful way to pamper your skin while massaging and soothing it or invigorating it with the peppermint formulation (can be used on aching feet too and great to relax sore muscles at the end of the day). Contains: Vitamins A, B, C, D, E, aloe vera gel, mineral oil and the peppermint formulation contains pure peppermint oil and the lavender contains pure lavender oil. Your skin will feel like silk after using this wonderful body oil scrub. It is best used in the shower or bath and gently massage it into your arms, legs, chest, back, anywhere your skin needs it. Especially great at sloughing off dead skin cells. Apply moisturizer after rinsing. NEW!! BODY DREAM LIFT/TANNER CREAM 2oz. $9.00 4oz. $11.50 – This moisturizing, toning and firming cream also gradually builds a tan on your skin (a safe tan) and contains A, B, C, D, E, Co-Q10, gingko extract, chamomile, glycerine, green tea and DHA (tanning ingredient). NEW!! BODY DREAM SOOTHING BACK LOTION 4oz. 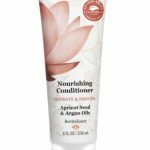 only $10.25 – This wonderfully soothing lotion for your back helps with menthol blended into a shea and cocoa butter cream that not only eases back pain, but moisturizes too. You can actually use it all over your body (and aching legs too), but it really helps to soothe and ease an aching back. NEW!!! BODY DREAM LIFT 4oz. only $15.50 – This amazing toning & firming body lotion is a creamy, non-greasy lotion containing extras of vitamins A, B, C, D, E, aloe vera gel, chamomile, glycerine, shea butter, green tea & the wonderful firming ingredients of DMAE & seaweed extract. NEW!!! DREAM LAVENDER SLEEP EASE BODY LOTION 2oz. $8.25 4oz. $9.95 – This wonderfully soothing nighttime body lotion contains lavender, A, B, C, D, E, aloe, chamomile, glycerine, green tea, and colloidal oatmeal to help you ease into sleep and moisturize at the same time. Body Dream Lotion 2oz. $5.50 4oz. $7.25 Contains: A, B, C, D, E, aloe, Co-Q10, shea butter, glycerine & chamomile. NEW!!! BODY DREAM SHIMMER SUNSCREEN LOTION 2oz. $8.50 4oz. $9.95 – You will love the way your skin shimmers in the sunlight, but also protect your skin with SPF 15, 25 or 30 (your choice). Contains mica for a beautiful shimmer, but also contains vitamins A, B, C, D, E, aloe vera gel, glycerine, Co-Q10, chamomile and shea butter. It has a soothing tropical scent. NEW!!! HAND DREAM BALM 2oz. only $6.25 – This thick, creamy and very moisturizing hand balm helps to ease lines and wrinkles on the backs of the hands and helps to even out skin tone with vitamins A, B, C, D, E, AHA/BHA, aloe vera gel, chamomile, glycerine,colloidal oatmeal and petroleum jelly base. This will give your legs and feed a rejuvenating and refreshing boost with added tea tree and peppermint oil extract. It will also help to aid circulation in the legs and feet. Ingredients: A, B, C, D, E, aloe vera gel, chamomile, glycerine, tea tree, peppermint oil extract, spring water, emulsifier naturally derived from Colza Oil. Ingredients: A, B, C, D, E, aloe vera gel, chamomile, glycerine, cucumber ext. and sodium tetraborate for lather. *LIP PRODUCTS* – Can be customized to your own needs and SPF can be added. These products are very nourishing and lock in the moisture and help heal dry, cracked lips. Apply whenever needed. Flavors: Coconut, Chocolate, Lemon, Cherry, Strawberry, Creamsicle, Country Apple, Raspberry. NEW!! LIP DREAM LIP SCRUB 1/4oz. $5.50 This little miracle for chapped lips will gently soften, exfoliate and plump your lips with a shea butter base, pure sugar crystals, vitamins A, B, C, D, E, and honey. You will love it, especially as a prep to your lipstick. Use as needed. Lip Dream Ingredients: A, B, C, D, E, aloe, almond oil, grapeseed oil, beeswax, touch of honey. Lip Dream for Cold Sores has added tea tree and mentholatum to help prevent and heal cold sores.